I have been agonizing over which countertops to buy for our kitchen remodel. 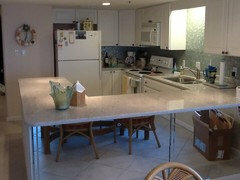 Initially we decided on quartzite but decided to go with Silestone given the cost savings. We have to young kids, like to cook and plan to sell in about 6-7 years. I cannot decide on a color, part of the problem being that the slabs to view in person are over an hour drive from me. My goal is more of a whiter background with nice grayish veining. My cabinets will be white. The first photo above shoes Blanco Orion (left) and Helix (right), and the second photo shows Snowy Ibiza (left) and White Arabesque (right). I do not have samples for the others I like. Would love some opinions on all my contendors: Lyra, Helix, White Arabesque, Lusso, Blanco Orion and Snowy Ibiza. Am I missing any good ones? Any other affordable brands I should consider? I do not like the marble alternative from Ceaserstone. I called Silestone today and they told me that White Arabesque is discontinued (but perhaps Home Depot still carries) and that Lusso will be released next month. I also found out that Snowy Ibiza is exclusive to Home Depot. I can't find any photos of Snowy Ibiza installed anywhere. Any input is greatly appreciated. I only saw it priced by slab and pricing seemed to vary between fabricators quite a bit. I think we ended up around $2k per slab for the calacatta blanco, though maybe a little less. We had to add a slab after templating to avoid some awful seam locations, so that is throwing off my pricing. Pictures of Minuet quartz. The backsplash isn't done yet. 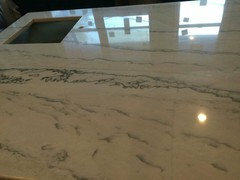 Priya P Where did you find the Vadara Calacatta Blanco slab? I'm in the Bay Area and considering this option. It looks great in your kitchen! anapalm1 what did you choose? annapalm1 what counter did you choose? Thank you for all your many comments. 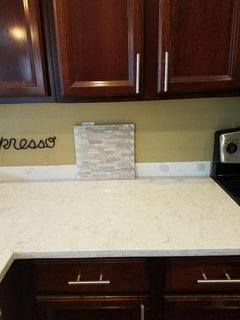 has anyone done a slab backsplash and can you post pics if you have? thanks! Just have to jump in for another ringing endorsement for quartzite. It was cheaper than marble and not that much more expensive than quartz because we had a large area. We used the same three slabs for our kitchen and 3.5 bathrooms. We've been living with it for about 5 months and I love it- just now I took three pans out of a 400 degree oven and put them right on the counter with no issue. Everyone assumes that it's marble but it's incredibly durable and easy to clean. Highly recommended! 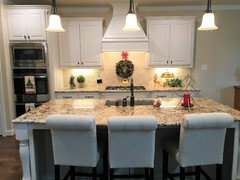 I almost got Quartz for my new kitchen but bottom line it looks fake and it's only trying to imitate marble or granite. I also wanted. Light grainy version for my counters. I finally decided on super white quartzite/granite. I only say it's both because one supplier called it granite and the other quartzite. That being said the quartzite supplier had the counter priced much higher than the supplier who generalized my counter as granite. Over all I'm very pleased with my choice. I have two kids; 14 and 10 and the granite/quartzite is very durable. Go with the real deal not the imitation. @greenwoodframed it's beautiful! @edy it's also beautiful! I noticed you have a bluestar RNB. How is the oven for baking? Can you tell what temperature the oven is at? I read somewhere you couldn't. Thx. 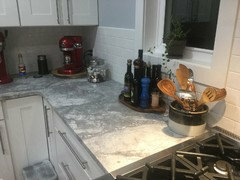 I too decided on the Super White because my marble countertop was defective (see 1st picture...had cracks with some kind of defective putty). I could not find anything in a quartz that I liked. I am still careful though because my Super White has etched and scratched. It is not perfectly durable...but I plan to retire in this home and want it to be pretty. 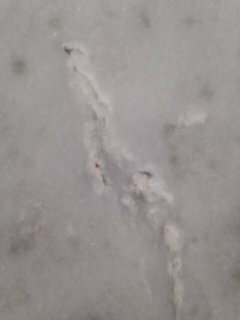 If your super white has etched and scratched then it is probably marble, not quartzite. Many stone yards sell it as quartzite because they are uninformed; they call it soft quartzite. But genuine quartzite should never etch or scratch, since it's made of sandstone, which is dense and hard, and does not react chemically with acids. 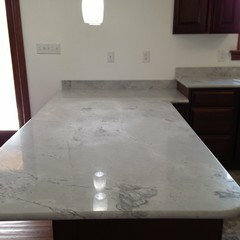 Marble is compressed limestone, which is either made of calcium or Dolomite, both of which will etch from contact with any acid. There is a series of discussions on garden web on this topic, led by a geologist, that is just fascinating! aurory13 I am having this same decision. The Snowy Ibiza looks like it might pick up a cream color, which is what I want, What did you decide? 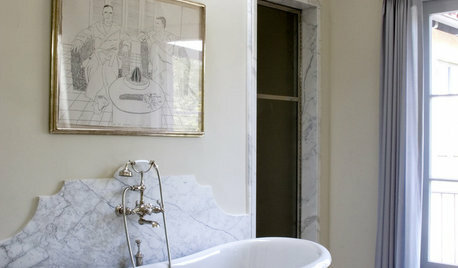 I see that a lot of people are using real Cararra marble in their backsplashes, floors and showers. From what I have read, it is very hard to maintain and to keep from staining, etc. We are redoing a house that we will probably rent. Can anyone suggest reasonably priced Cararra marble look-a-like porcelain tile in hexagon shapes that would probably be more suitable for a rental situation? If you're looking for a top for a rental, you should probably put repairability, not looks, at the top of your list. 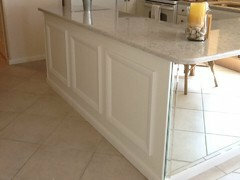 That would be Corian or another solid surface, granite, then engineered stone in that order. 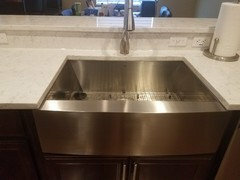 I'd recommend a stainless steel sink too. I would do London Sky quartz for countertops and a plain white beveled subway tile for backsplash. 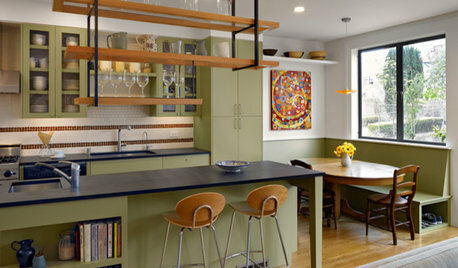 Unusual shapes such as hexagons tend to be more expensive so if you are renting, I would stick with timeless choices. The London Sky is the most like Carrera marble on the market today IMO. It is durable and really looks great. Lots of folks here posting pictures using it and are very happy with it. Great high-end look but not marble pricing or maintenance! Then if you want that look for bathrooms, especially tile, just go to a local tile center and look for the porcelains that are doing this look. Many are out there. Sorry to bump up an old thread. I'm deciding which countertop to choose from. I'm really interested in the Snowy Ibiza after reading posts here. But another thread about chipping on Silestone quartz really scared me. 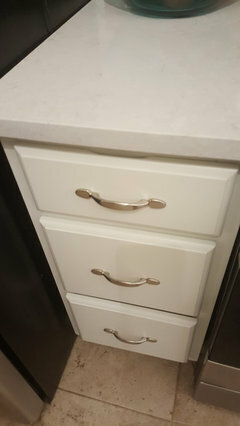 I'm wondering how the users here feel about their Snowy Ibiza/White Arabesque countertops about two years of daily use. Any chips or discolors? Thanks. Chipping is primarily due to edge profile selection, not brand. All lighter colors are more stain sensitive. We've had snowy Ibiza for about a year. No chips and no stains we haven't been able to scrub out. Thank you amcgown29 for sharing your experience. May I ask which edge did you use on your countertop? I have read that most people who complained chipping problem were having eased edge. I'm not really into bullnose edge, wondering if double roundover edge could do little better. A double roundover edge will have less chipping than an eased edge. I have read every comment here and appreciated all the tips. I unlike many of you have soft cream cabinets. 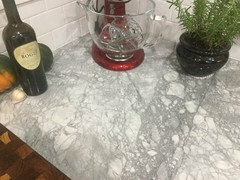 I had my heart set on Taj Mahal Quartzite which I thought would be perfect, but just discovered it is not an option for us (we have to use a specific fabricator). I have looked at Silestone Daria quartz but I am really nervous it may look cheap. Has anyone installed it in their home? I desperately want to the look of marble but everything seems too white. My only other option would be to go with another granite like White Ice and be safe. 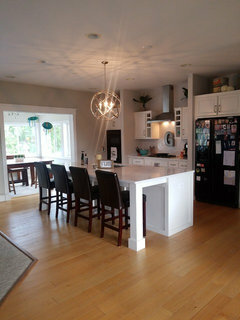 I am looking for something with a wow factor - light colored with cream, white, grey... Thoughts anyone? 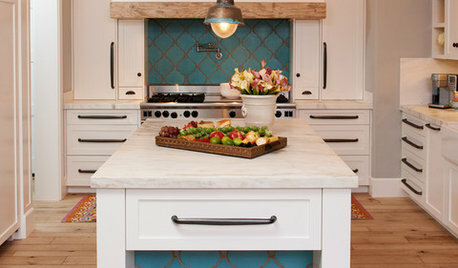 I am willing to change up my back splash but want to choose the perfect counters first. Here's a photo from Christmas - no judging please - we were not able to choose our slabs and were not expecting them to look like an animal crawled up on them and died. 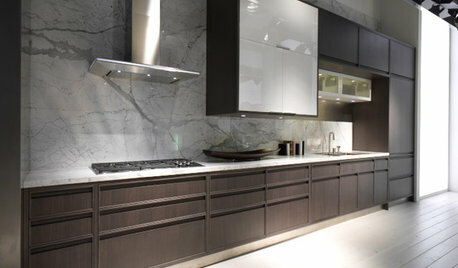 Hi, are you able to use other quartz products with your fabricator or does it need to be Silestone? Do you know if you can use any of the DuPont Zodiaq products? 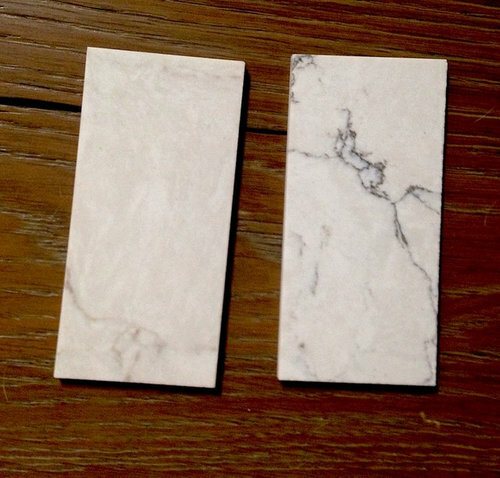 They have several designs intended to look similar to marble and they have varying "sliding scales" of a less white, more cream background. Any thoughts on Viatera Muse or Karis quartz? 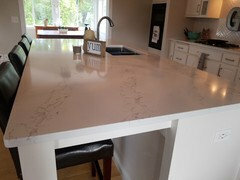 Questions for those with snow Ibiza countertop, what backsplash did you use? What color grout did you use? 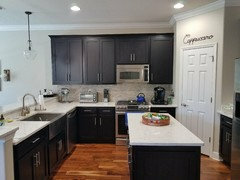 Is the countertop whiter than it appears in the photo? 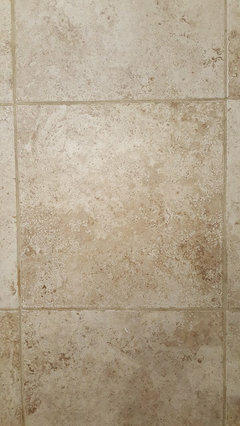 Would you recommend it for white kitchen with ivory travertine floor ( photo attached)? We ended up going with Snowy Ibiza and it is being installed in two weeks. I am just struggling now to find a back splash material. My cabinets are off-white and I'd love some advice. Does anyone have pictures to share? amcgown, what type of marble did you use? I have been following this feed forever!!! 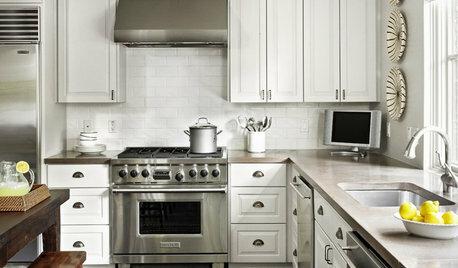 It is what ultimately helped me narrow down the endless counters, paint and backsplash options! I hope this helps someone else as much as other people's pictures have helped me! Thanks everyone! 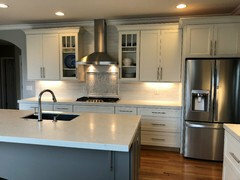 Counters: Vicostone Statuario, Cabinets: Benjamin Moore White Dove, Back Splash: Merola Tile Metro Soho Subway Glossy White 1-3/4 in. x 7-3/4 in. Porcelain from Home Depot online with bright white grout. 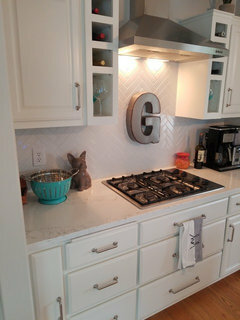 We used Grecian white in harringbone pattern. It should have had better contrast but the installer used a sanded grout which damaged the tile a bit. 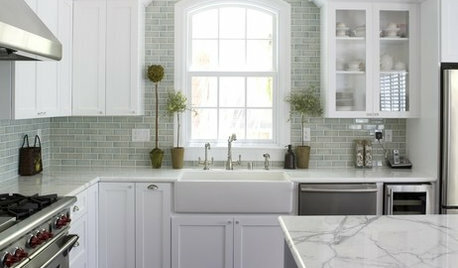 We almost went with just a white subway tile which would've looked good with the countertop as well. Thanks @amcgown29. That is really helpful to know; I will avoid using sanded grout. My cabinets are painted with BM simply white, and I about 90% set on going with snowy Ibiza and the greecian interlocking white marble. I think the two (counter top and back splash material) complement each other. It's nice to see others have tried it and liked it. I hope someone is still following this thread! 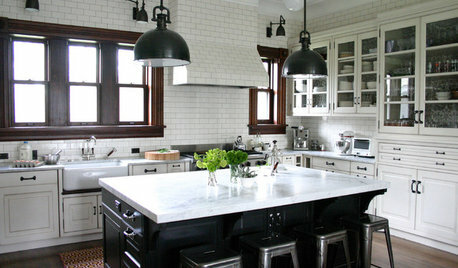 My issue is that I am going with white cabinets and am using white subway tile as a backsplash. I am limited to Home Depot Silestone (no option, that's it). 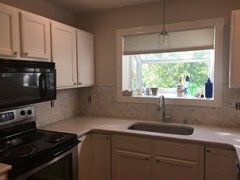 I would really like to have a white countertop -- but A) I'm nervous that I'll never really get the white of the cabinets (woodmark painted linen) and subway tile and counter to match B) any true white silestones are about $40 more per square foot. 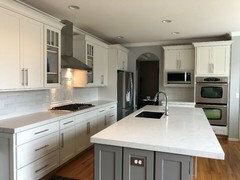 My husband wants to go with the cheapest color category -- the whites in this category (white storm, white north) look dirty to me next to the white cabinets (he wants Marengo -- dark, dark gray -- I hate that it clashes with white cooktop). I've convinced him to go up two price grades -- that means Snowy Ibiza or White Arabesque. I'm not so interested in a marble look so much, just something that will be white/light and look good with the cabinets and subway tile. Snowy Ibiza I thought was good but sounds like it might be creamy v white? I don't like busy patterns (hate granite!) so WA gives me pause. Lyra is another price grade up and I think Lagoon is, too, so I'd have to do even more convincing with husband -- not sure if it's worth it! I've also been considering totally different stellar snow ... (speckly, sparkly). Any thoughts welcome! I agree with you, I think Snowy would look great. 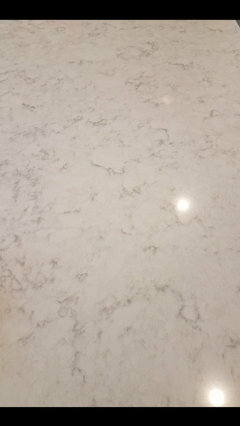 I chose Minuet which in my opinion is a bright white with gray veining. You need to pick what you love, the extra costs will be worth it. I looked at just about every marble alternative out there and ended up going Tipperary from Della Terra. It came in about $2000 less than Ceaserstone and I like the color a lot more. We chose Lyra. Our cabinets are Linen by Waypoint. We love it! My cabinet is painted simply white by Benjamin Moore and I recently unstalled snowy ibiza and couldn't be happier. Its a very very light gray with white mixed together. Why does Snowy Ibiza look white and gray in so many photos online (like, all of them), but when I look at the chip it looks off-white and brownish. White Arabesque looks a lot whiter, but I just don't know about the pattern -- I'm scared it will be just too busy for me. Stuck! I have both samples in my kitchen right now but there are no walls or anything so hard to get a feel for what will work. I can't go up in price -- already had to twist hubbie's arm -- so the really white silestones are out of reach. Should I just go with solid gray (gray expo or Marengo and call it a night? 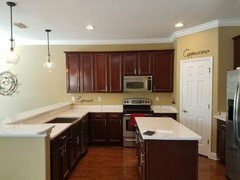 Cabinets and cooktop, appliances are white, white subway tile backsplash. Floor is light-ish oak-more honey than yellow. Help! To ellznewjersey, the reason that the color of anything on a computer looks different than in real life is that computer monitors are notoriously bad at replicating color. Color is a function of light, and depending on the light that was in the room when the photo was taken, compounded by the different calibrations of the computer monitor, you will never really be able to ascertain the true color of anything on a computer. In fact, even print media will distort color, so that a color on a paper page can often be very different than the true color of the object. The only way to tell if a sample of tile, stone, fabric, wallpaper, etc., truly works in your room is to get a sample of the CURRENT STOCK and compare it in your room with the lighting you intend to use. There is no substitute for trusting your own eyes! I've been to the Silestone showroom twice now -- both times they didn't have samples of colors that I wanted so I could look at in my kitchen. Very frustrating! Right now I am thinking of Blanco Orion (mainly because they had a sample I could take with me! they didn't even have a slab of snowy Ibiza to look at) -- it seems like it's the whitest, but it's a bit busy. 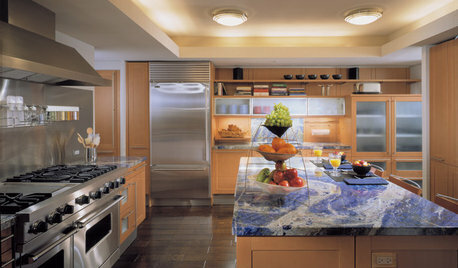 And in so many of these countertops the marbling reads brown to me (to my husband, too). 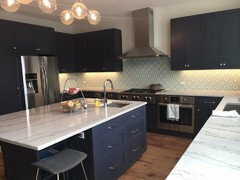 I really want to paint the walls a shade of blue from the Williamsburg collection from Benjamin Moore but I don't know if any of these countertops really have blue tones. And to be honest -- I don't trust my eyes. I have terrible color perception -- my kids are always making fun of me! 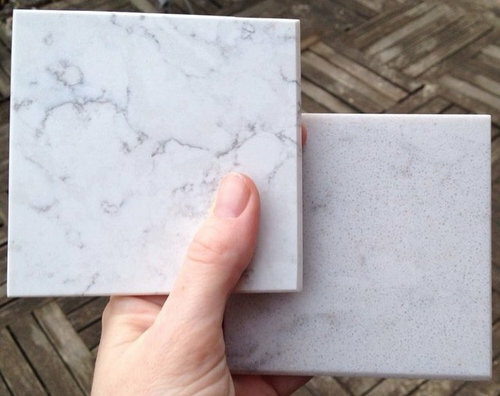 Does anyone have an opinion about which of these marble look-alikes would go best with blues? My cabinets and backsplash will be white (wanted the blue to be the color in the kitchen). I've seen so many at this point I'm open to anything! Thanks! This is a really old thread, but I'd like to comment. If you compare ANY of the marble "look alike" quartzites to real marble, you would NEVER call any of them beautiful. They are fake and they look it. 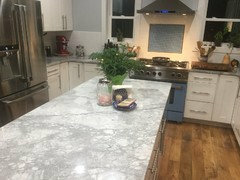 If you want the look, but can't handle the aging, then go with a solid quartzite, in grey or white, on the countertop, and use the real Carrara for the backsplash. It's easy to have it sealed when installed and if you feel it is necessary to reseal, that is really simple, as well. You just wipe it down with sealer. Every six months would be plenty. I'm assuming when you say "quartzites", you're referring to engineered stone? Quartzite is a natural stone and quite beautiful. Hyde Evans Design would have to disagree, there is a number of extremely close smartstone, quantum quartz, etc they are listedhere and there are a few others. You may need to update your design samples. 1) Depends on where it is cut from the quarry and the face it is cut from. 2) Depends the contaminants that are contained in the marble when it was formed that gives the different veining and colour, again depends where in the quarry it is from. 4) Dimensional stone means that it can be processed into dimensions and not all stone or where it is quarried from even within quarries of dimensional stone is suitable. Plus marbles are extremely sensitive to any caffeine (it's because caffeine is a form of Vitamin C", citric acids, citrus even if sealed as they attack the calcium carbonate which makes marbles up. Like any stone natural or man-made you need to compare the whole slab not just a 4" sample. 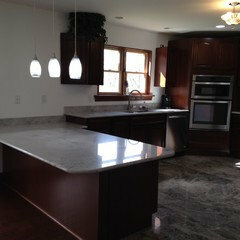 We used PentalQuartz Misterio and it is GORGEOUS! Priced very well. I get compliments on it every time someone comes to the house. I like ninigret's counter...enough graining to be interesting but not overpowering. Silestone snowy Ibiza or lagoon? 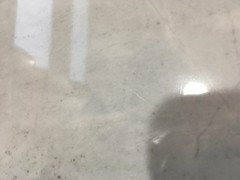 Decision on Quartz marble alternatives? Imperial Danby Marble with kids?